The right kitchen appliances, especially the cooking range or stove, are integral to the efficient functioning of a kitchen. Whether you are a gourmet chef or an occasional cook, a kitchen stove / range is a must-have. If you are setting up a new kitchen or remodeling the existing one, buying a cooking range is sure to be a top priority with you. Come to Pochels Appliance Center. We offer some of the most elegant, high performing and cost-effective cooking appliances available in Tacoma to make your culinary endeavors a breeze. We feature a multitude of options in free-standing, drop-in or slide-in; and gas, electric, dual-fuel or induction ranges from leading name brands. Pick the one that suits your lifestyle, budget and cooking needs. With us, you also get the assistance of knowledgeable, helpful, courteous and friendly sales staff that makes selecting the ideal kitchen stove and range easy, quick and stress-free. Shopping for a kitchen stove in Puyallup can be quite a tough job. The market is flooded with incredible options available in varying shapes, styles, sizes, setups and prices. Since buying a cooking range involves a significant investment and the type of range you have affects your comfort, convenience and success in cooking, you need to purchase with caution. At Pochels, we offer a range of gas stoves for people who like to cook by adjusting the heat according to the heating requirements of different recipes. A gas stove allows you to reduce or increase the heat as per need and also minimizes the risk of scorching the cookware or food by distributing the heat evenly. Browse through the elegant, feature-rich gas stoves we have and order one for your kitchen today! Electric stoves are quite popular these days and can be seen in many Tacoma kitchens. While the basic advantage that makes most buyers of cooking appliances opt for the electric range is its cost, its other recommending feature is its easier cleaning as compared to the traditional gas stoves. 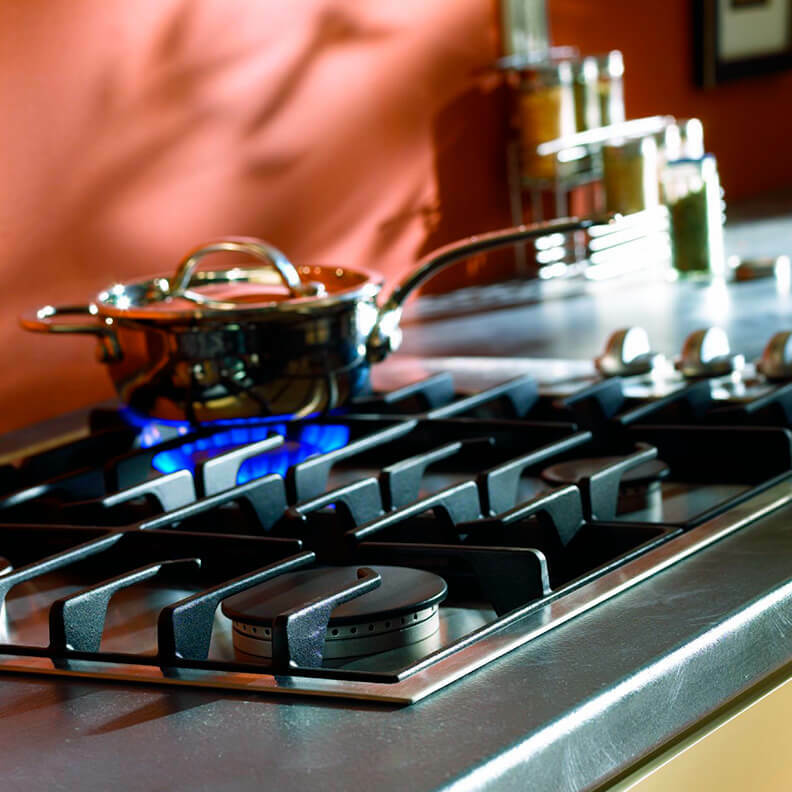 Unlike a gas range, an electric stove has a flat-top surface with hardly any crevice where food can fall or spill. This makes its cleaning quite simple. Pochels Appliance Center offers you a range of stylish, smooth-surfaced, energy-efficient electric stoves that are sure to help you maintain an efficient, clean and smart kitchen. Come to Pochels for the stove and range that complements your kitchen!